Don’t overdo the modifications in your boat. Often times, simplicity is the best.Having a fiberglass boat is tough, especially when you use it all the time for several reasons. Of course, you will need to clean them, which probably take some time and require detergents or other stuff to effectively clean them. However, there are actually ways to make handling fiberglass boats less difficult. 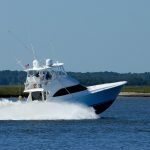 Check out four of the best way to maintain a fiberglass boat. Your fiberglass boat will need to be protected from the growth of algae and barnacles. 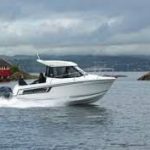 Leaving it even for a short time with no protection will significantly affect the performance of your boat. If these barnacles and algae colonized the underwater surface, it will be too late when you notice them growing their way into the hulls of your boat.Antifouling paint is the best solution for this problem. It is a poison that hinders the growth of these algae. Each type of boat needs different types of antifouling paint. 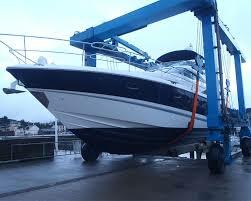 You can get them in our boat repairs Sydney with variety. Now that we’re done with the underwater surface, you’ll need to learn how to handle the top part of your boat. Since it’s the most vulnerable part of the boat from the effect of the sun, you’ll need to coat it, or at least polish the topsides. This will make the top attract less attention when the sunlight is being reflected. 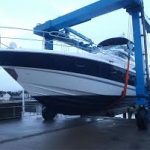 Waxing it regularly can make your boat look like it was just bought yesterday. Make sure to wax it to keep the coat intact and effective. Another part of the boat that receives the harmful effects of the sun is the deck. Besides the sun, there is also grime that will eventually build up in the deck. To prevent this from happening constantly, make sure that you clean it with a brush or an abrasive cleanser if it’s a bit hard to remove. 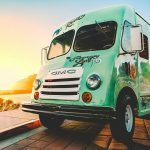 You’ll also need to wax it regularly to get the best result from your cleaning. But remember; don’t wax the parts that you are likely to step on. There can be other materials in your fiberglass boat. Some have stainless steel and some aluminium. To get the best material, check out our stainless steel fabrication Sydney. If you get the appropriate amount of materials, the performance and hygiene of your fiberglass boat will increase significantly. Not to mention, stainless steel and aluminium is very easy to clean or maintain and have a long lifespan.